We are reading discussing this book this month in my book club, Reading Liberally. This is exactly the sort of book I had in mind when I started the local chapter of the group several years ago. Many liberals know what our positions are supposed to be–just like conservatives–but we need to do a better job than conservatives do of understanding the issues. Staking out positions isn’t good enough. So, I know what my view of gun control is, and I know what my understanding of the 2nd Amendment is, having studied it in law school. But I was less clear on the drafting history and the real motivation of the drafters of the Constitution and Bill of Rights. That’s what is wonderful about this book. It’s repetitive at times, but it is wonderfully researched and footnoted. 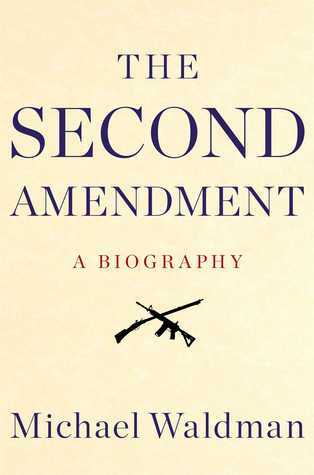 Beyond the history lesson, though, the book includes a discussion of relatively recent developments on the Supreme Court and also outlines the rise of the influence of the NRA. 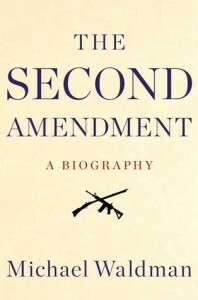 The book has a slight bias toward more gun control, even in light of the Heller case that first ruled that the 2nd Amendment creates an individual right to own guns. What I would like to have seen here, though, is an outline of what kinds of controls might be acceptable given the current court’s rulings. So this is a very good book, and I recommend it, but it leaves questions unanswered.